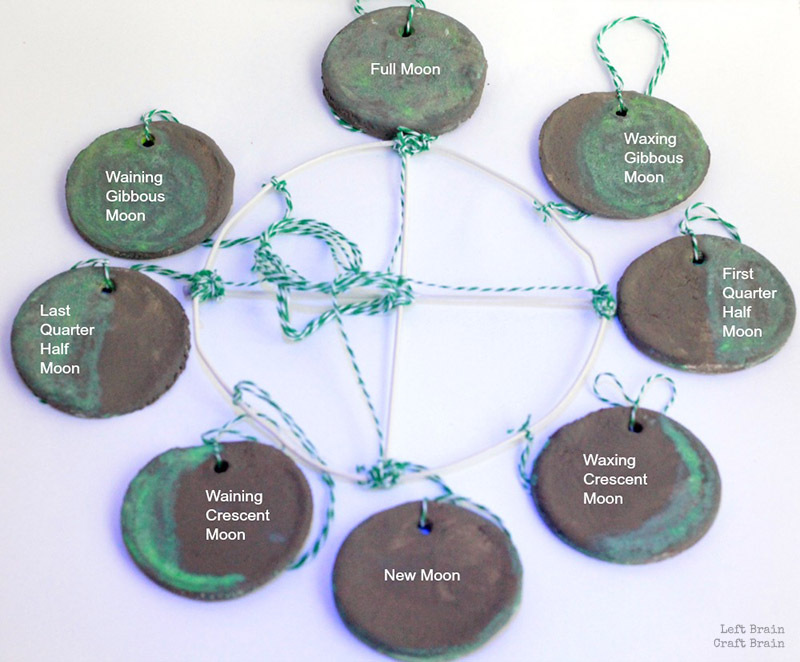 Learning about moon phases is a fun science activity for kids. Kids love learning about the moon, and the moon’s names, particularly “gibbous” will give your kids a giggle while they are learning about the moon. 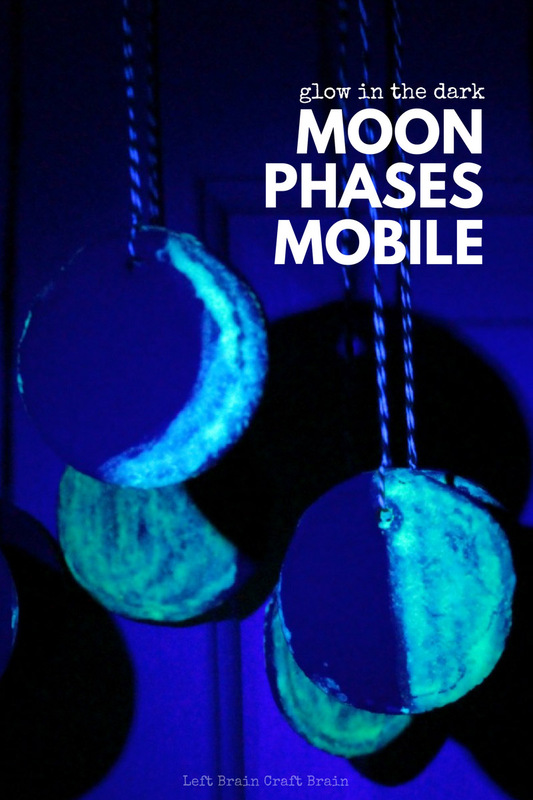 Try this fun glow in the dark moon phases mobile to go along with your phases of the moon study! 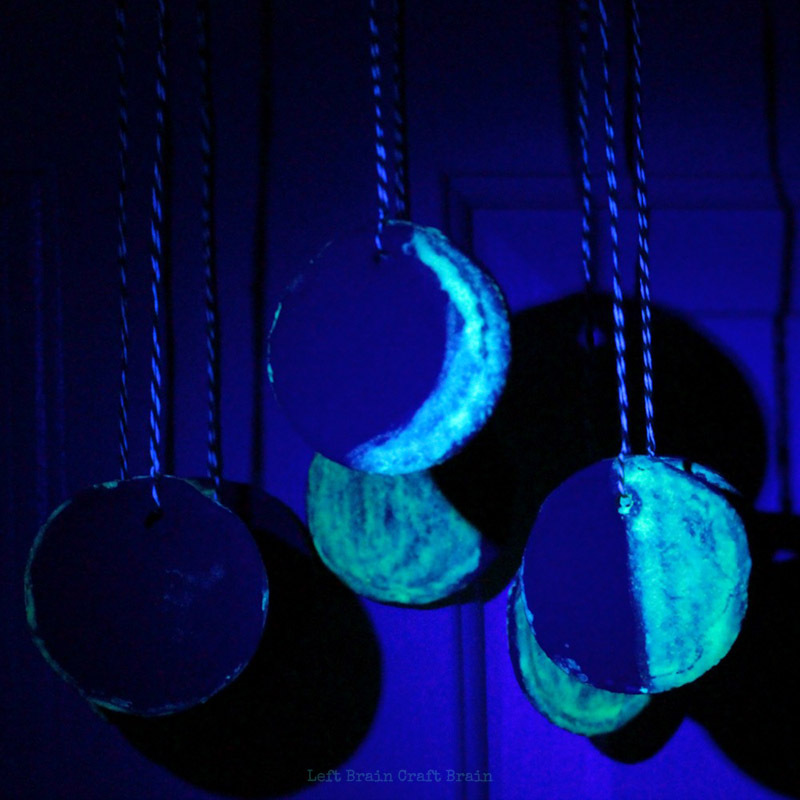 What I love most about this moon phases craft is that you can’t really see the phases of the moon until you shine the black light on the salt dough pieces. 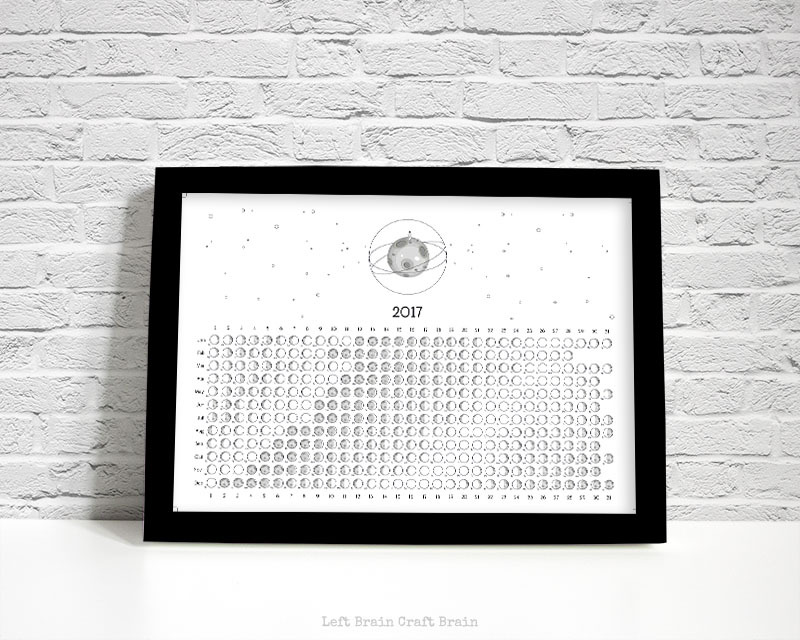 This will help kids realize why the moon has phases- all due to where the earth is in reference to the sun! First step is to make your moon dough (i.e. salt dough), cut and bake your moons. 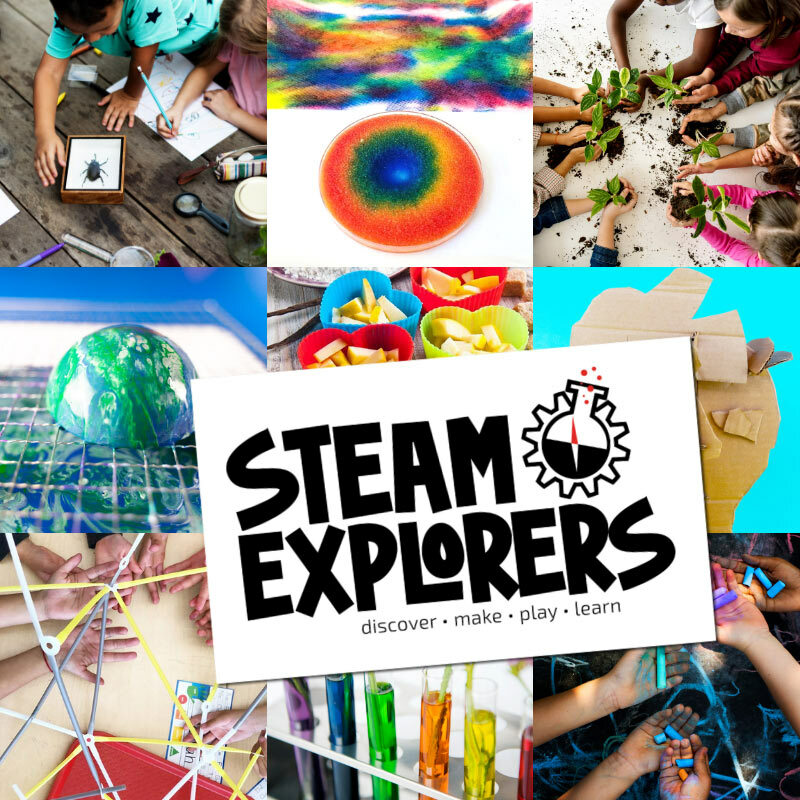 We made our mobile from salt dough. Mix 1/2 a cup of salt, 1 cup of white flour, and 1/2 a cup of water in a bowl. 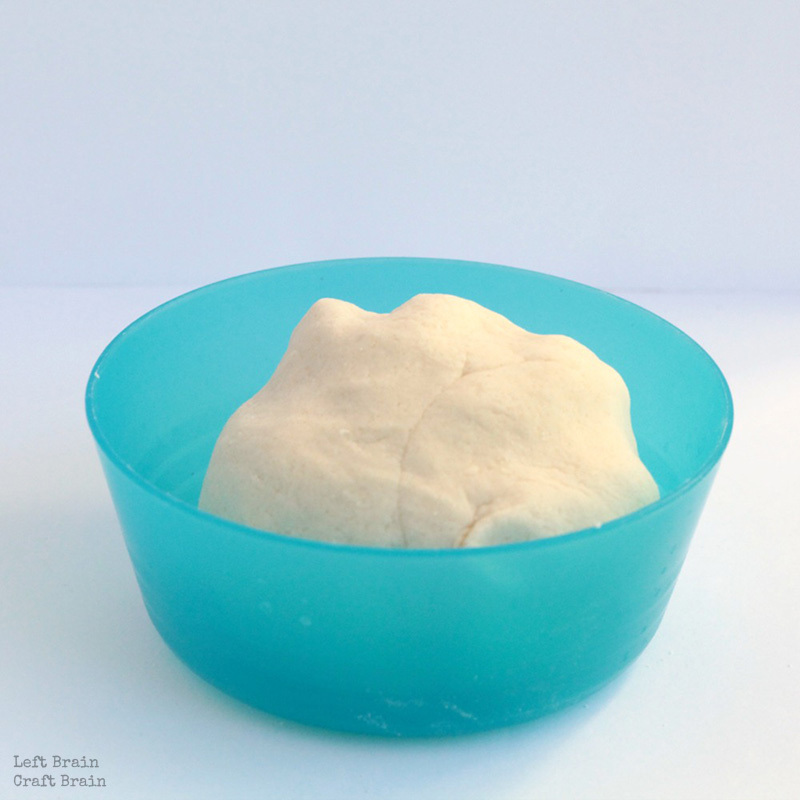 Knead the mixture together until it forms a soft dough. 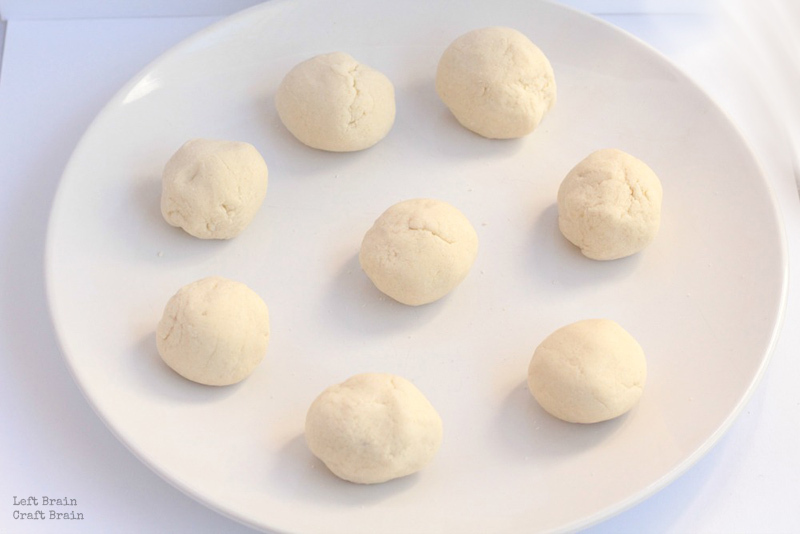 Divide the dough into eight balls. Flatten the balls into 1/4 inch thick circles. Use a straw to poke a hole near the top of each circle. Bake in the oven at 200 degrees Fahrenheit for 2 hours. Let cool. 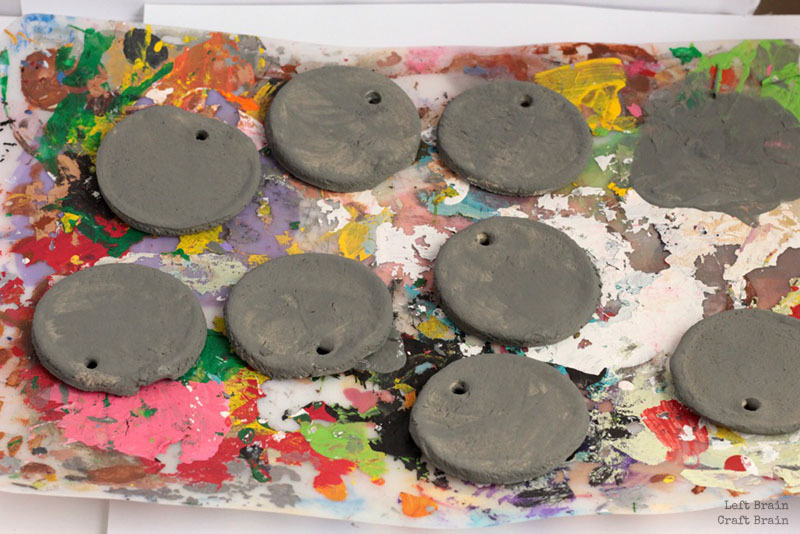 When the moons cool, paint them on both sides with grey paint. 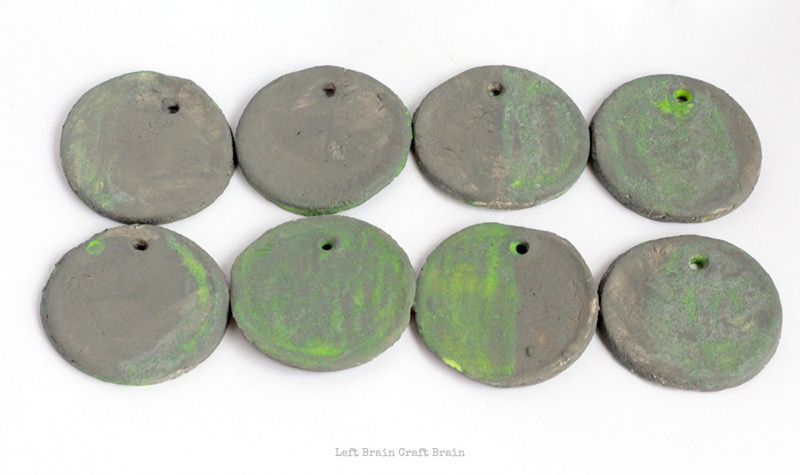 While the paint dries, cut a wire hanger into one long piece and twist into a circle shape. 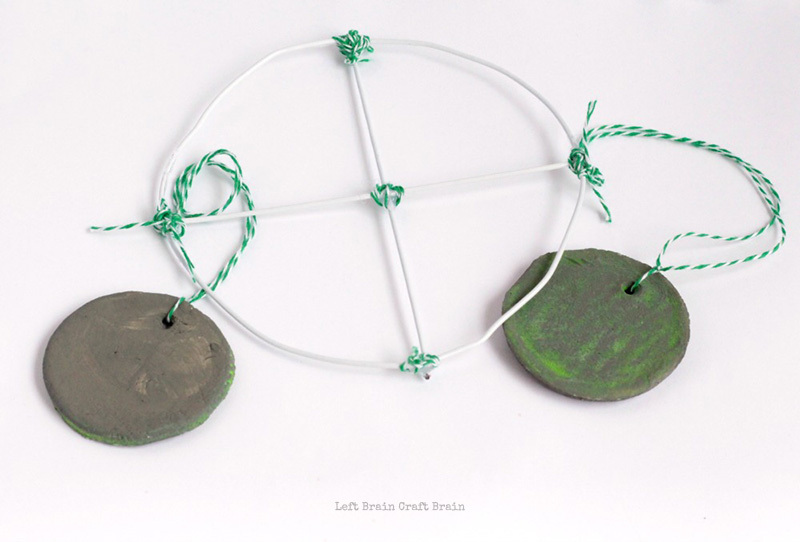 Use string to hold the two ends of the circle together. Add an + crosspiece to the center of the circle to strengthen it. We found that if we used hot glue to hold the joints temporarily, they were easier to tie together. 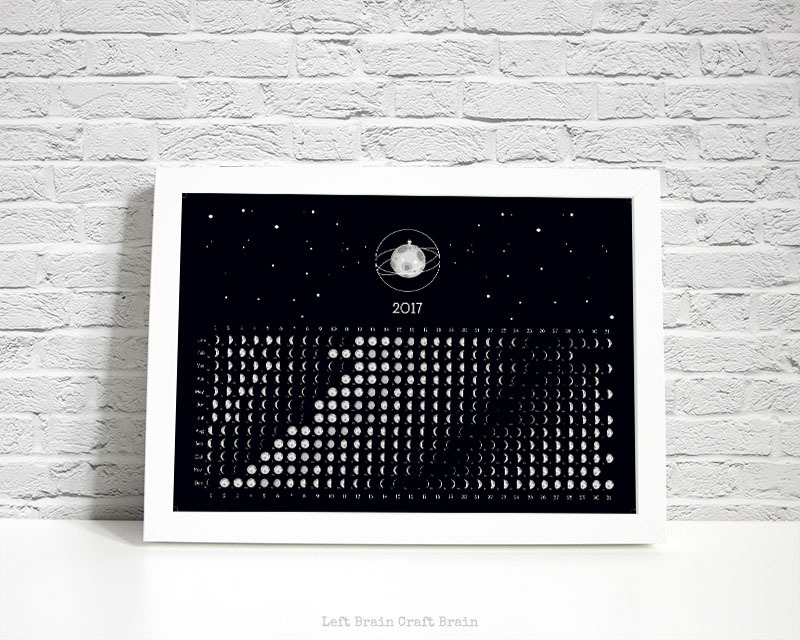 Tie the moon pieces to the mobile following the real progression of the moon’s phases. It’s helpful to look at a moon diagram for this stage. Tie a loop to the top of the mobile so you can hang it from a window. 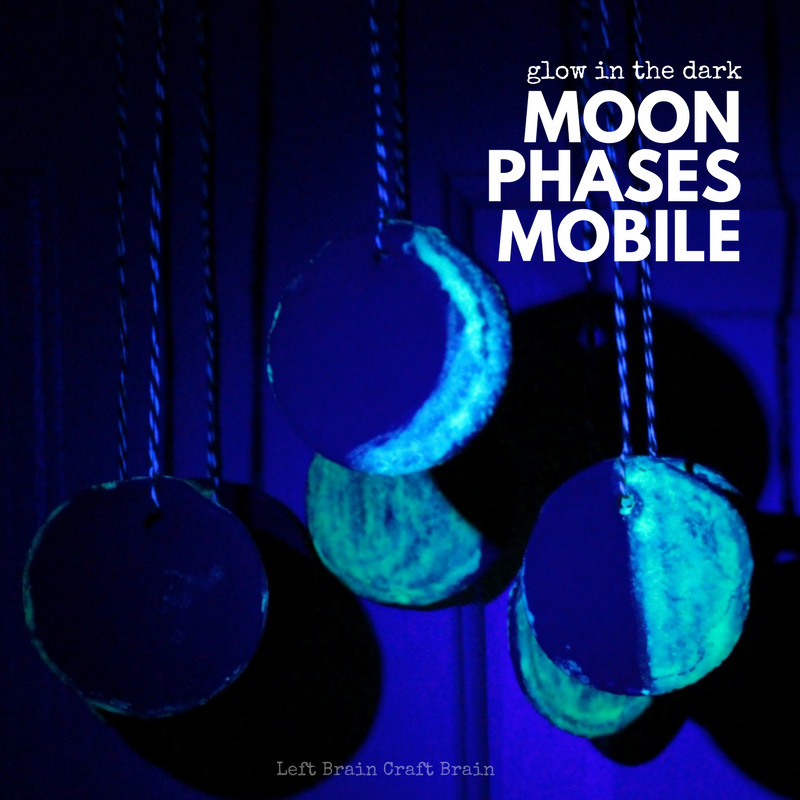 Shine a black light on the mobile and watch the moon phases come to life! 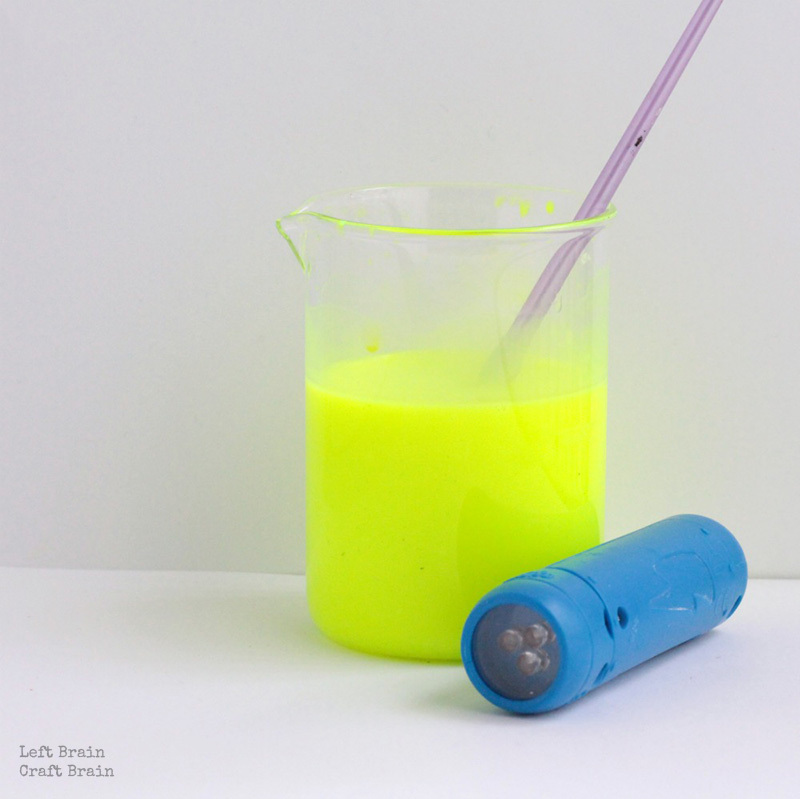 While you’re talking moon stuff, why not do a little astronaut pretend play? 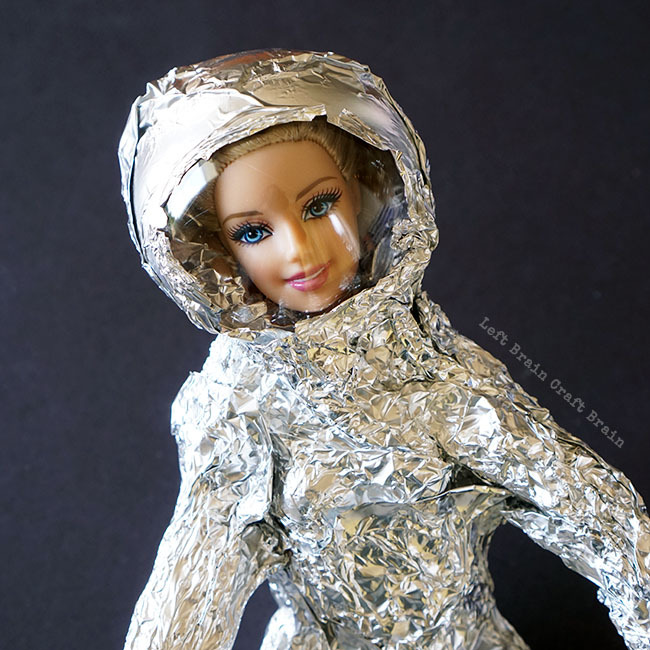 We sent Barbie to space and it was awesome.